Gifts to Give HER for Valentines Day! Whether you send a link of this post to your boyfriend/fiance/husband or you’re looking for something special to give to your fellow beauty-loving girl friend….I hope you’ll find this post helpful! I always love when brands come out with products especially for certain holidays, and Valentine’s Day is no exception. 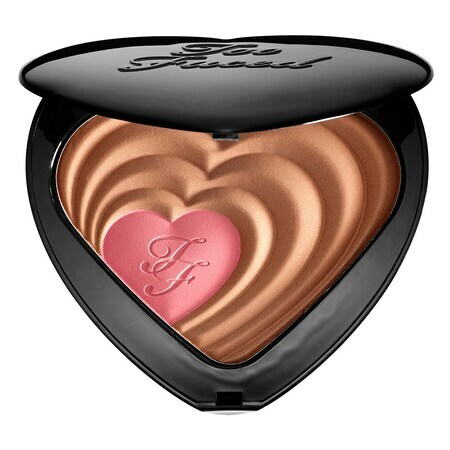 Here are a few of the products on Sephora that caught my eye and would make a beautiful valentines present. pop of color while offering the radiant look of true love. What it is: A cheek and lip blush to give the skin a flush of pink. Talk about luxurious! If you, or someone you know, likes to use stains this would be the perfect gift. The packaging is really beautiful and if you have the opportunity to go into Sephora sometime, you should see if they have a tester out and try it. It blends like a dream! face, and cheeks, plus two applicators in universally flattering shades. This is an all-in-one set that makes a wonderful gift — and you also save money purchasing this set. Along with powders for the eyes and face, there’s also a little drawer filled with mini applicators you can use to apply these with. So cute, and it would also look really pretty displayed on your vanity. What it is: A five-piece fresh-faced collection for the eyes, lips, and the complexion. If she likes bareMinerals, this is the set to get! 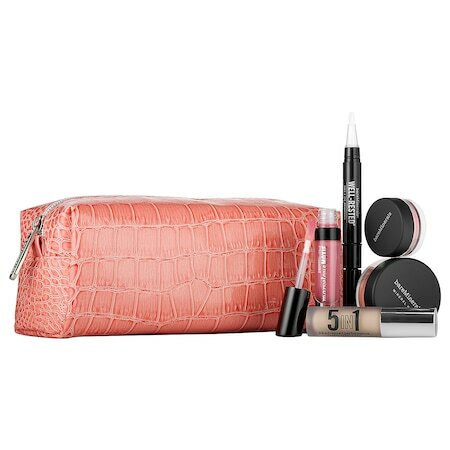 It’s a value set, so you’re saving money, and it also comes in this cute coral makeup pouch. And remember the BB eye cream I’ve been raving about recently?? Well, you get a deluxe sample size with this pouch. Pretty sweet, and a great set to get so you can try out a bunch of new products. where more is more and excess is everything. I just recently used my sample vial of this perfume….and I really like it! If you know someone who loves this foundation, than this gift set is a no brainer — and it comes in a heart box! What’s not to like? 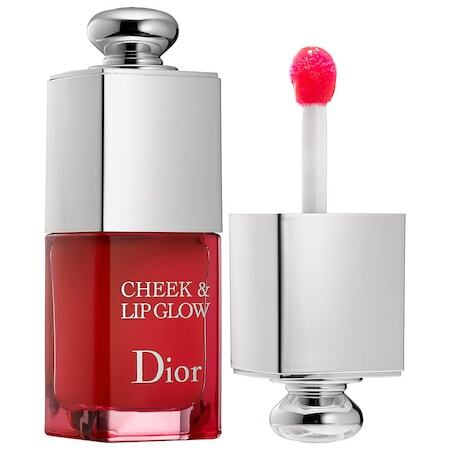 What it is: A Sephora-exclusive pair of top-selling Sugar Lip Treatments, one offering sheer nourishment and the other a rosy tint. 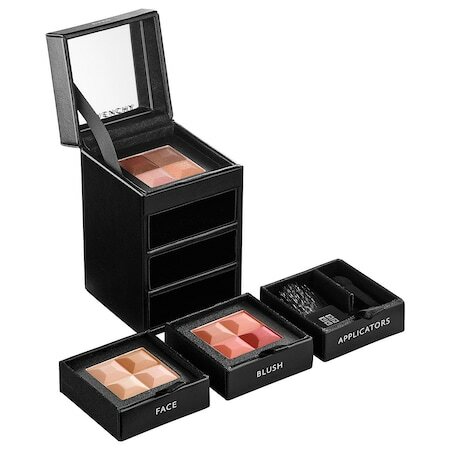 Okay, so if you’re wanting a more affordable gift to give someone, this is a really nice set. Sugar is a really luxurious brand that is all about the lips. So if a friend of yours is a lip balm junkie — get this mini lip duo for her! What it is: A must-have, giftable duo featuring two Original Pink rose and bergamot fragranced award winners for clean, smooth skin. There you go! Just a few that I think could make lovely gifts for a girl in your life, or even a gift for yourself — give yourself to some luxurious makeup products this Valentine’s Day! Soap & Glory Happy Pamper Gift Set is my favorite from your pick! Love the box design! perfect, perfect gifts! would love any and all of these on this list! great roundup! These are all awesome! They all jump out at me but not things my husband would get for me. But there’s no law that says I can’t get myself something for Valentine’s Day.